Here’s definitive proof that things can always go from bad to worse. 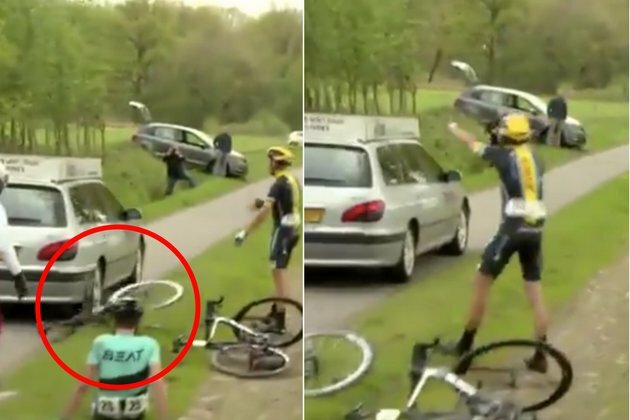 At the PWZ Zuidenveld Tour a race commissaire drove over a cyclist downed bike moments after he crashed. Marc Dörrie’s crash occurred roughly 75km into Saturday’s race to the south-east of the Dutch town of Assen. 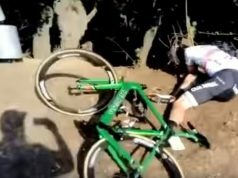 Instead of swerving to avoid the downed rider’s bike, the commissaire’s car drove right over the seatpost and rear wheel much to Dörrie’s dismay.